The Farmhouse, dating from the mid-eighteenth century, has been carefully restored to provide spacious and comfortable ensuite accommodation. Set in four acre plot in the the rural part of France. A friendly welcome in a spacious and bright environment. 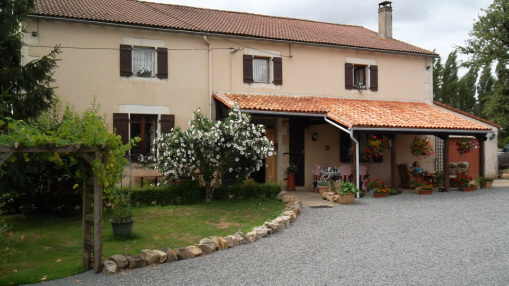 We are an ideal place from which to explore the beautiful French countryside and an excellent base for house hunting. The house and grounds over-look the valley Tulette, meaning valley of small streams.